I made this paper kite for my husband as a joke present for our first (paper) wedding anniversary recently. 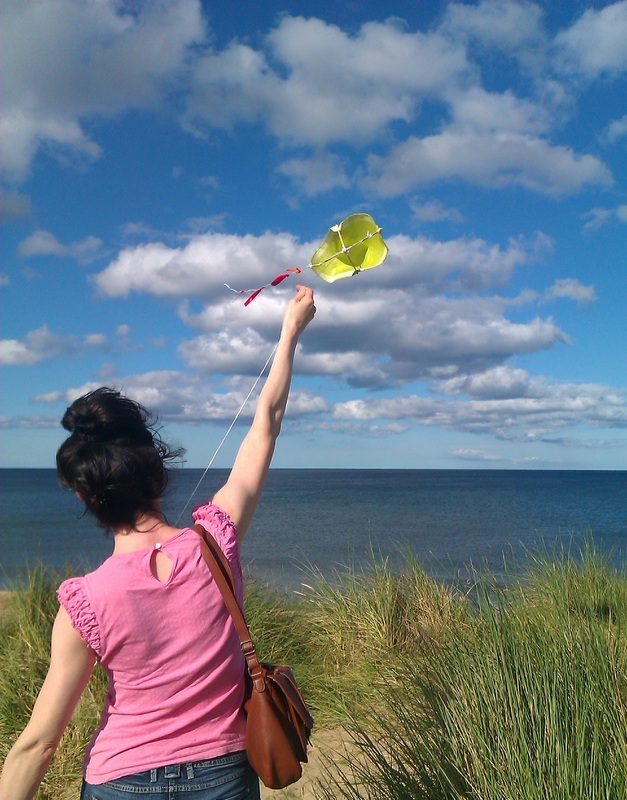 Here’s a photo of me having a shot at flying it today, on a beautiful, hot, sunny Saturday in Seaton Sluice, (how rarely those words are found in the same sentence)! I made it out of a long-fibred Japanese paper. Although it isn’t exactly the type a conservator would use to mend paper it is very similar. The strength of these fibres have leant themselves to all sorts of paper items such as hot air balloons, clothes and carpet which have withstood remarkable forces. Unfortunately, the strength of the wooden structure I made wasn’t quite so reliable!